Looking for a spicy fare that will leave you feeling light and nourished? 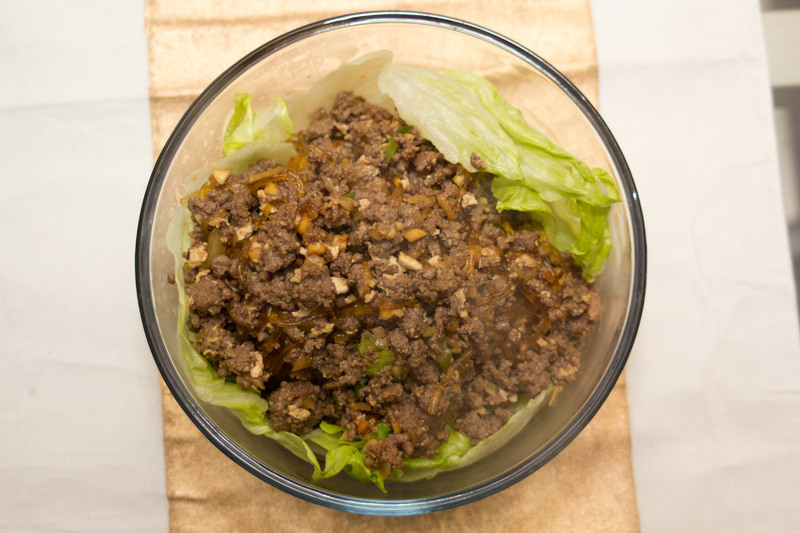 This recipe wraps asian flavored ground beef in lettuce for a tasty and healthy meal in minutes. Heat a Cast Iron Skillet on medium (medium-low if its cast iron) with a little oil in it and drop in the beef and garlic. Splash a generous amount of teriyaki and soy sauce in there. 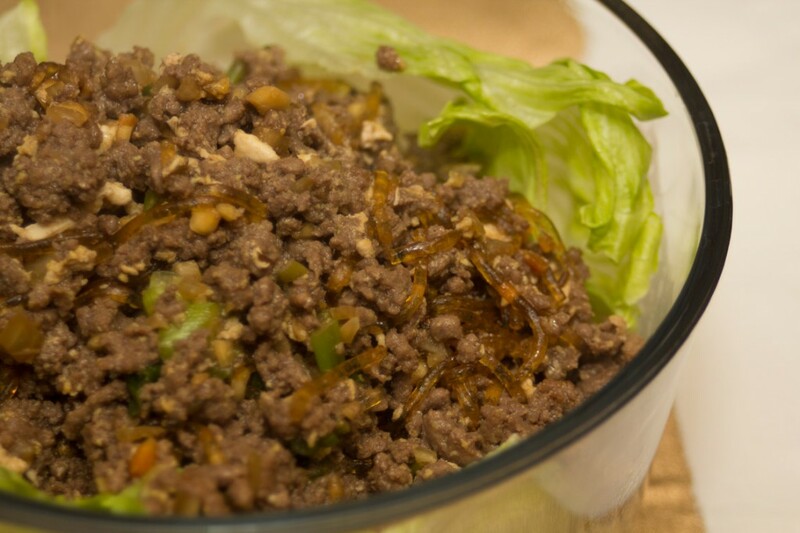 As you brown the beef, stir regularly and drop in the crushed peanuts and the chopped spring onions. Move the meat to the sides of the pan and crack your egg in the center to fry. After its cooked, stir it in with the meat. Follow instructions on package for the noodles/threads (usually let them sit in Hot water for 5-10 minutes). Then throw them in the pan with the meat and reduce to a simmer (low heat). 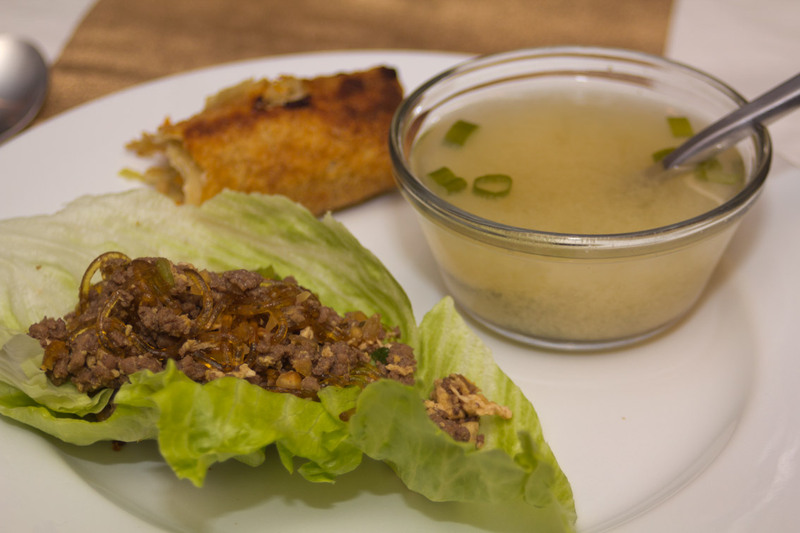 Tear large leafs of lettuce from the head and serve the meat with the chili and mustard on the side. This makes good leftovers. 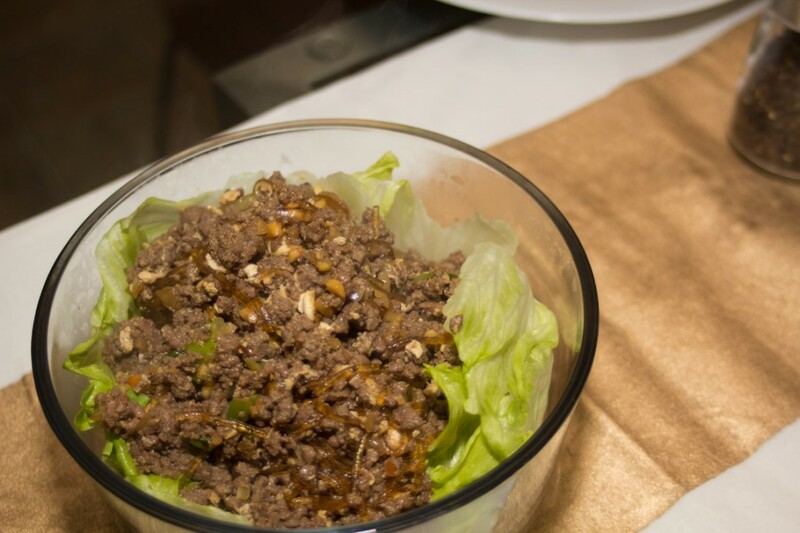 Just store the lettuce and meat separate, and microwave the meat. If you like it spicy you can throw the chili paste and spicy mustard in while the meat is cooking. If it tastes bland you weren’t generous enough with the sauces–add more. If it tastes too salty you were too generous–add some lime and some more meat. Best served with Egg Rolls. If you liked this recipe share it with your friends; Pinterest, Reddit, or wherever.